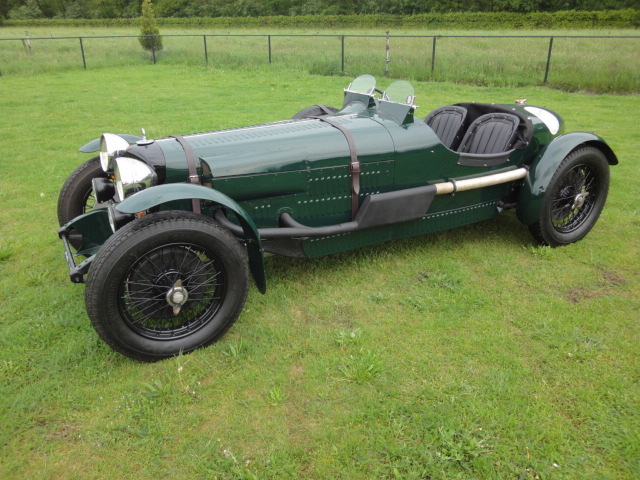 According to the Alvis Car & Engineering Co. Ltd. this Alvis left the factory in december 1935. 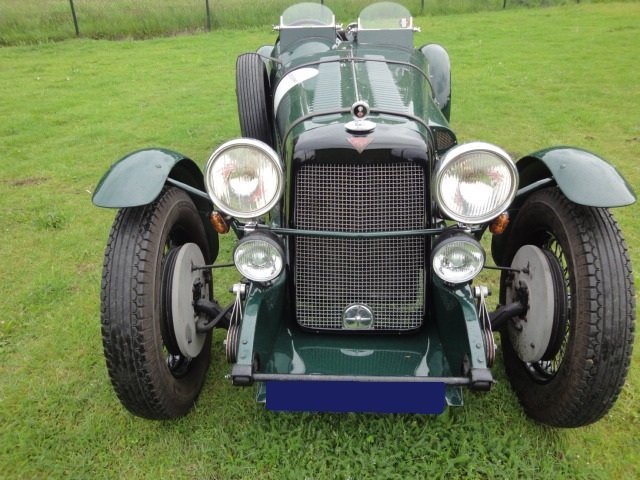 The car was delivered new to agency Cripps of Nottingham GB and registered with the Nottinghamshire County Council on the first of January 1936 on the name of D.J. 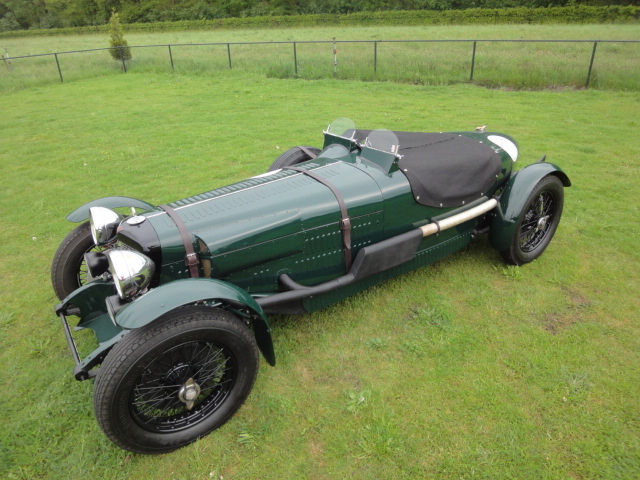 Milsome, 209 Station Road, Beeston with registration number BVO76 (confirmed by the Alvis owner club GB). 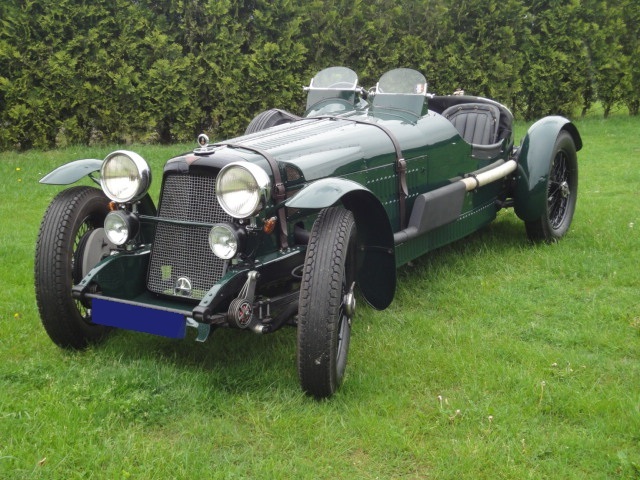 The car left the factory as a model S.G. 16/95 with a Dorphead Coupé body by Cross & Ellis in the color black with 20″ Dunlop wheels and Hartford shock absorbers. 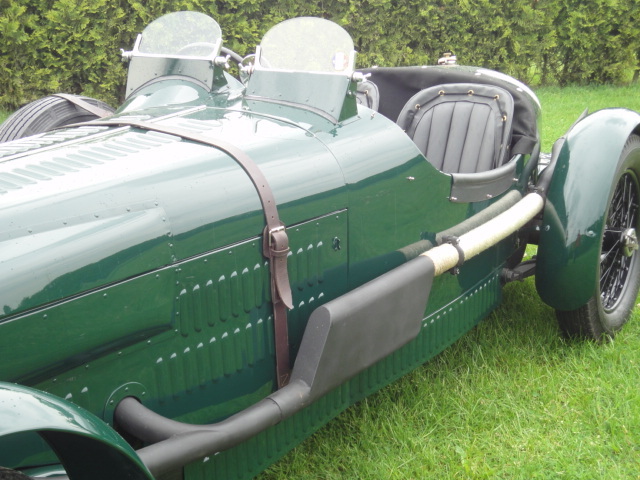 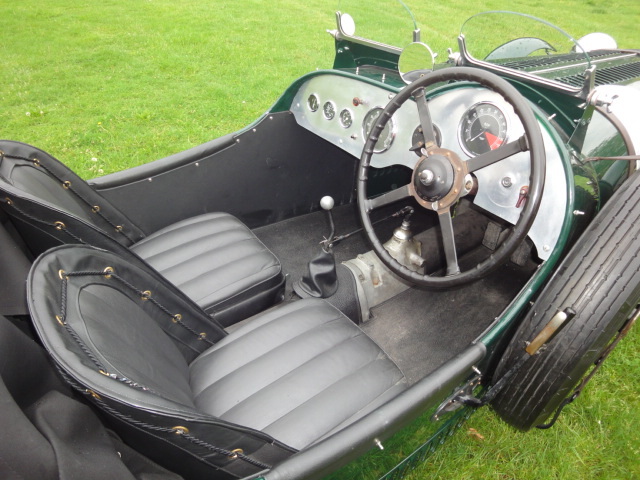 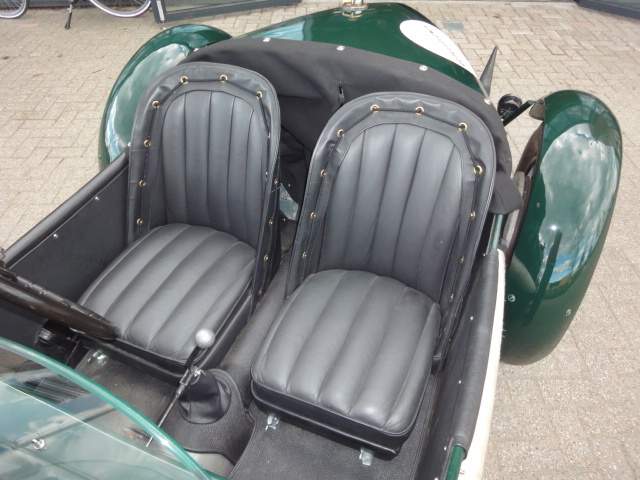 At about the change of century the chassis became this beautiful sporting two seater “special” body in which easily people of 200cm tall can be seated. 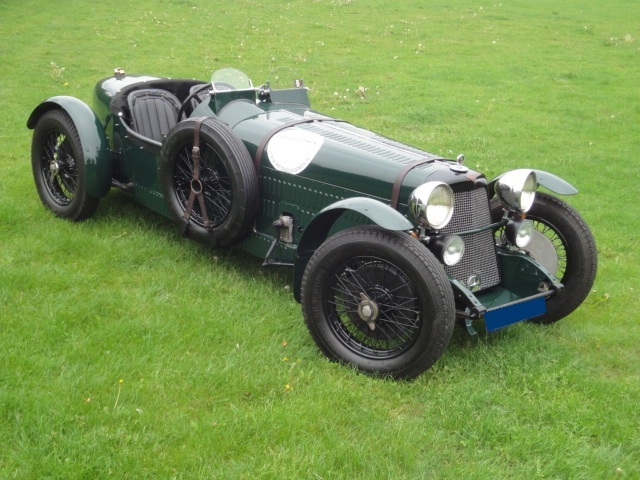 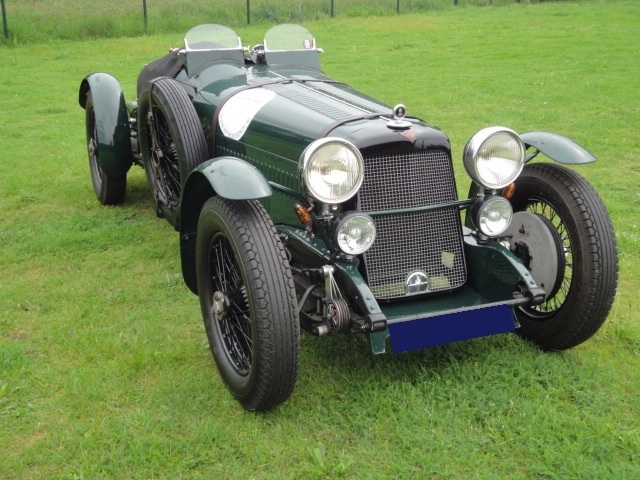 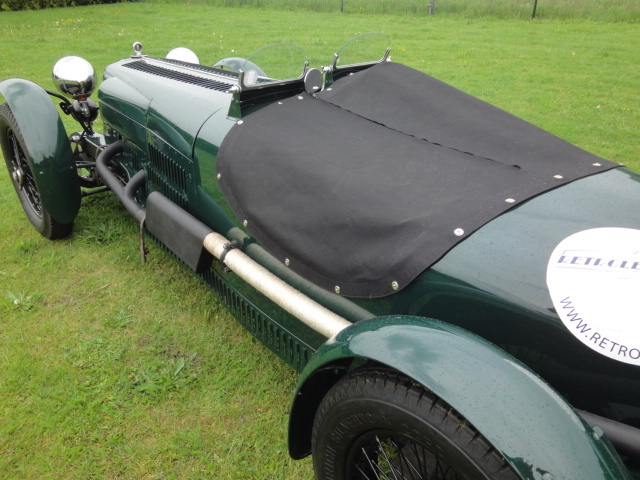 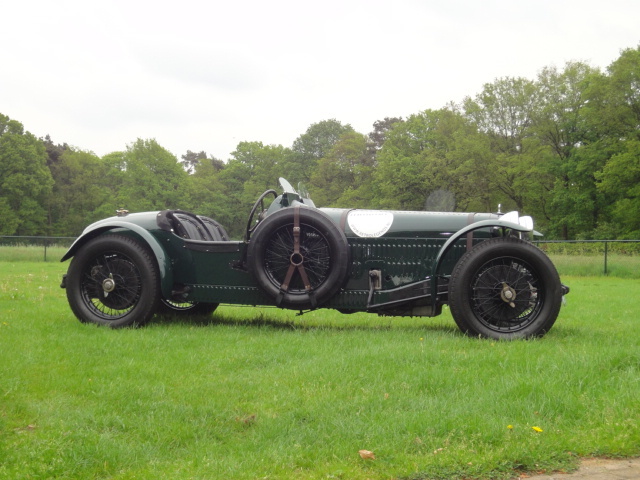 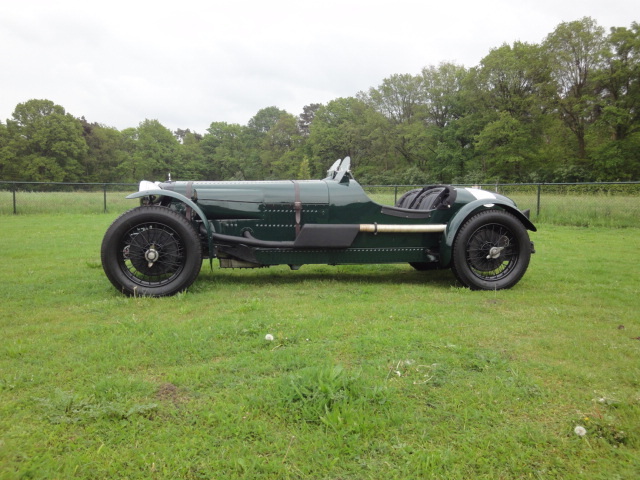 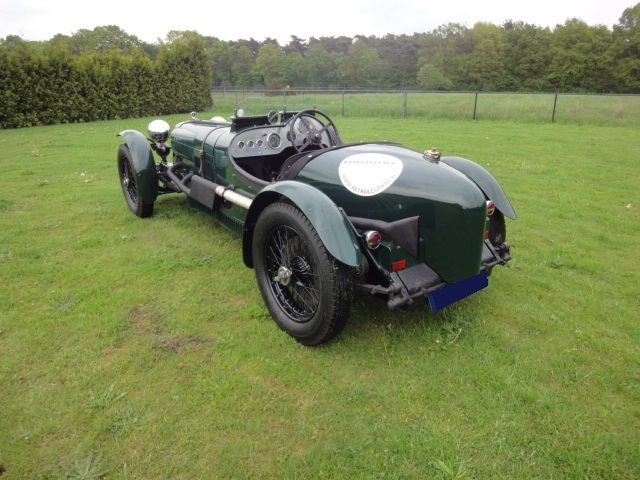 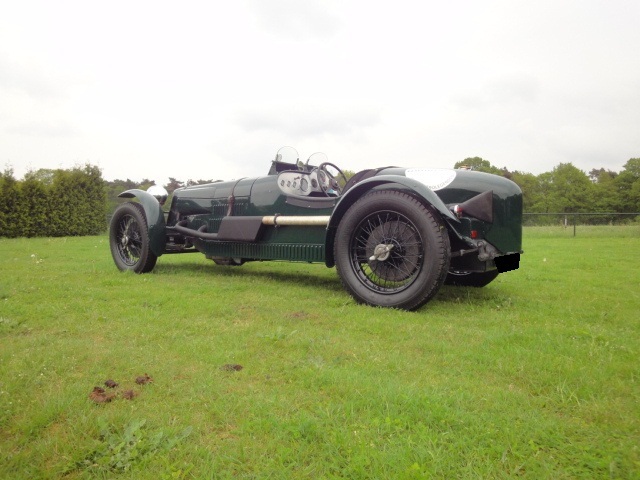 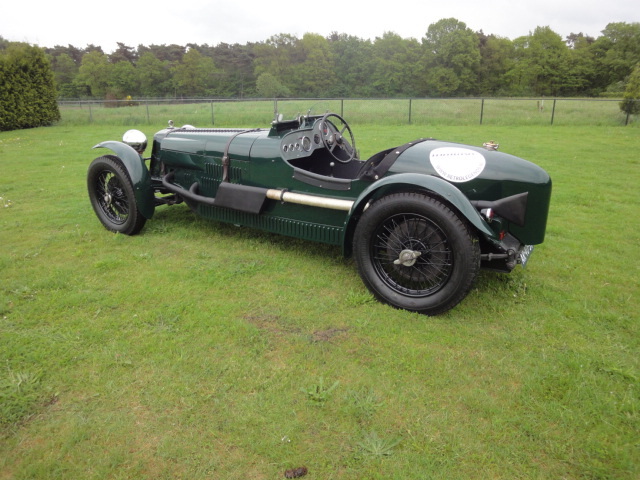 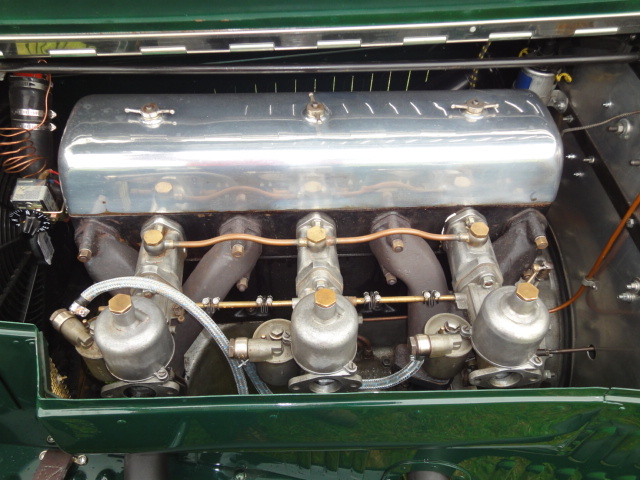 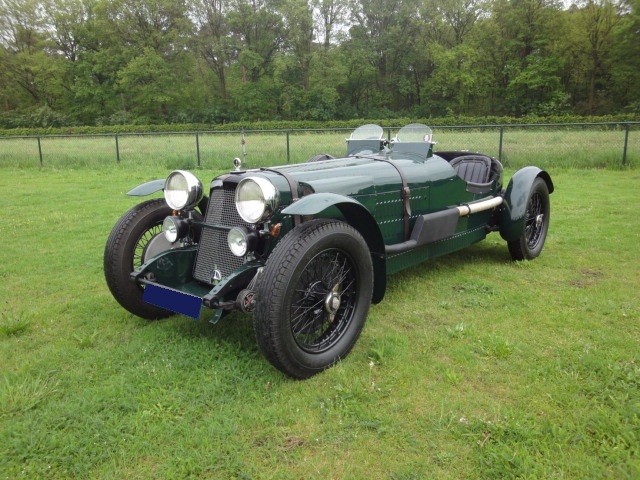 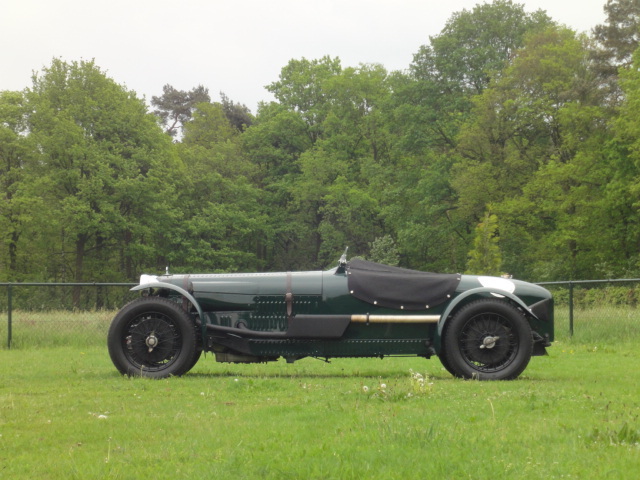 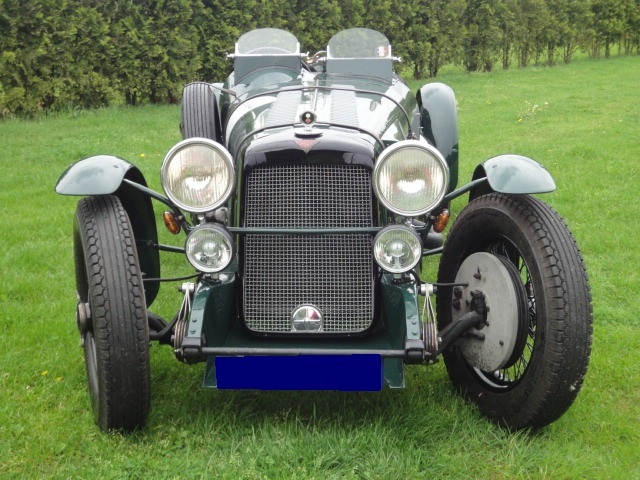 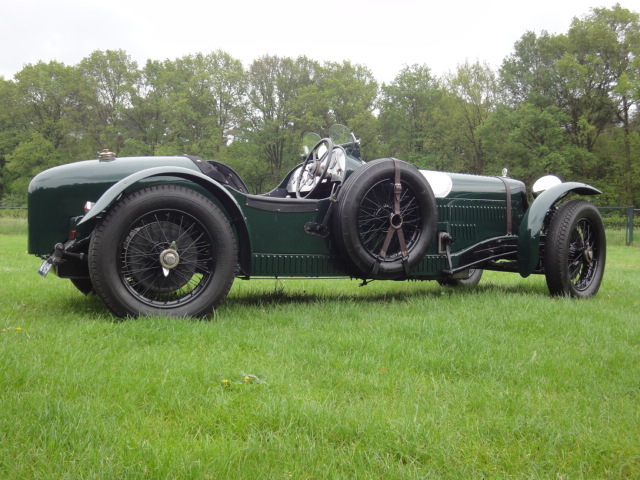 The engine is an Alvis 19.8 Speed Twenty engine with 3 litres displacement and three carburettors. 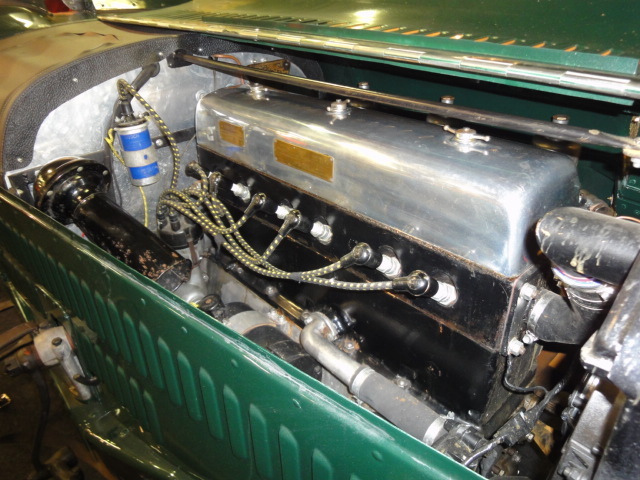 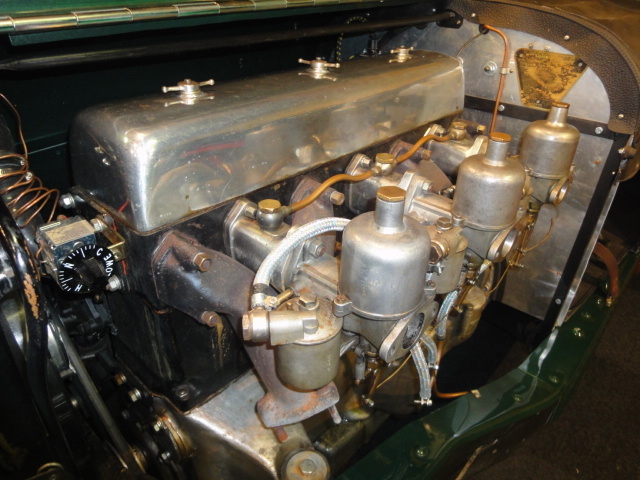 The engine is completely overhauled by a very well know prewar British car engineer. 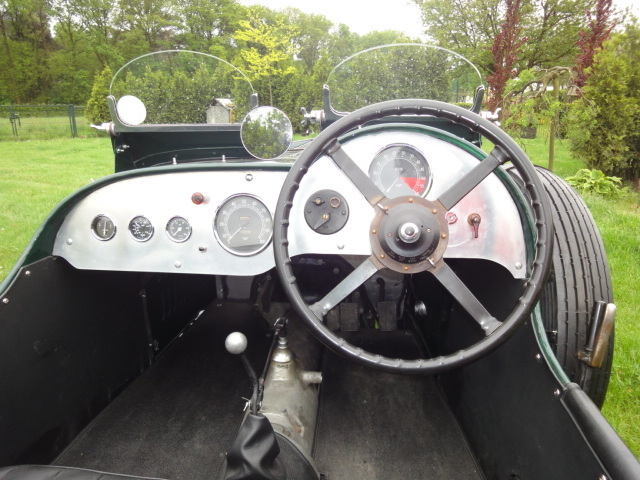 Until now the car has only runabout 500 km since. 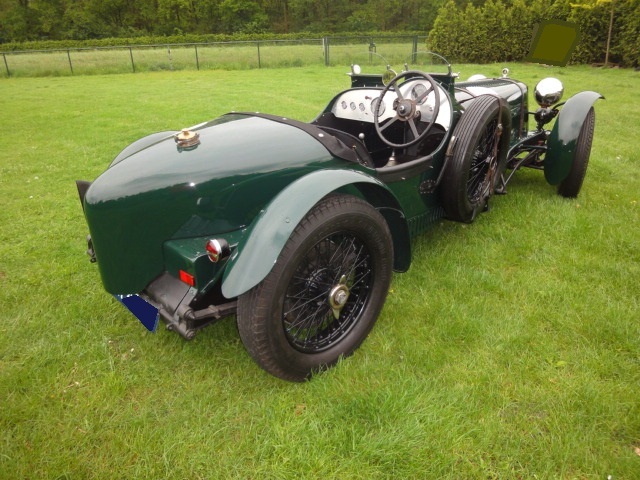 The gearbox is an Alvis 4 speed synchronised gearbox. 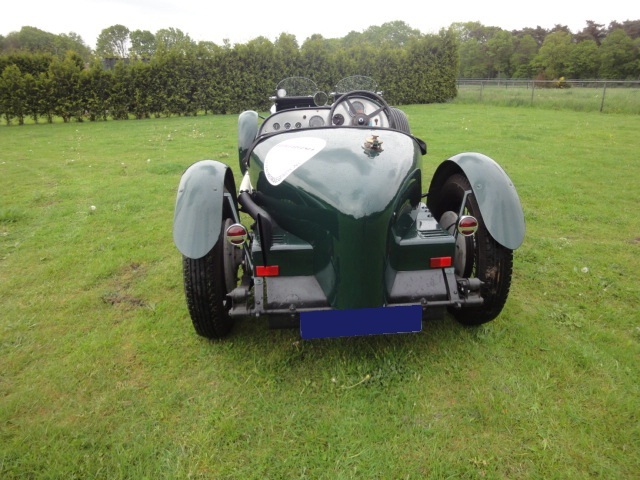 Car is fully roadregistered in The Netherlands. 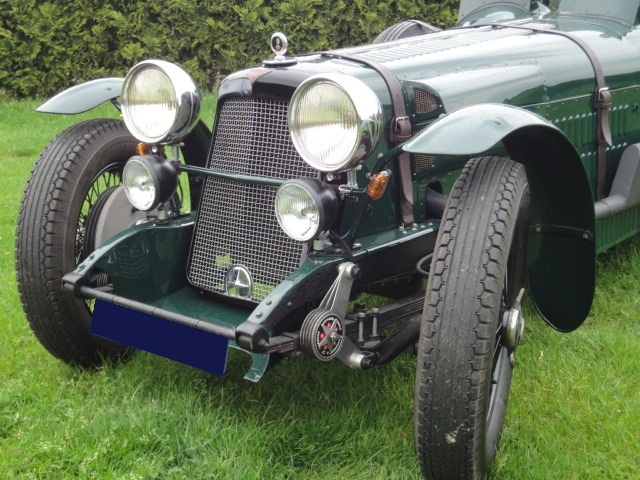 For import and registration in France, there is also an “attestation de Vehicule de Collection de F.F.V.E.” with this automobile.